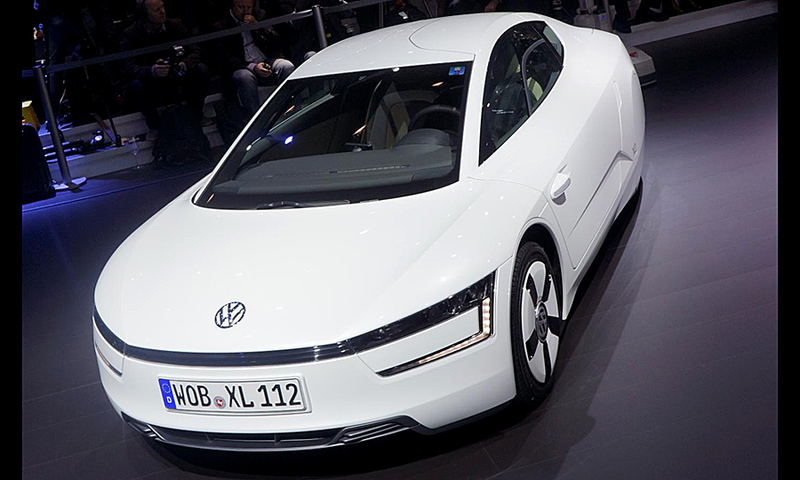 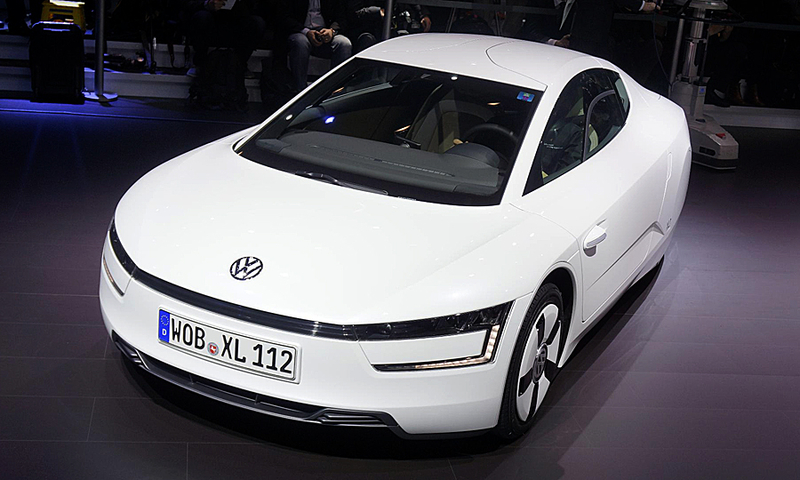 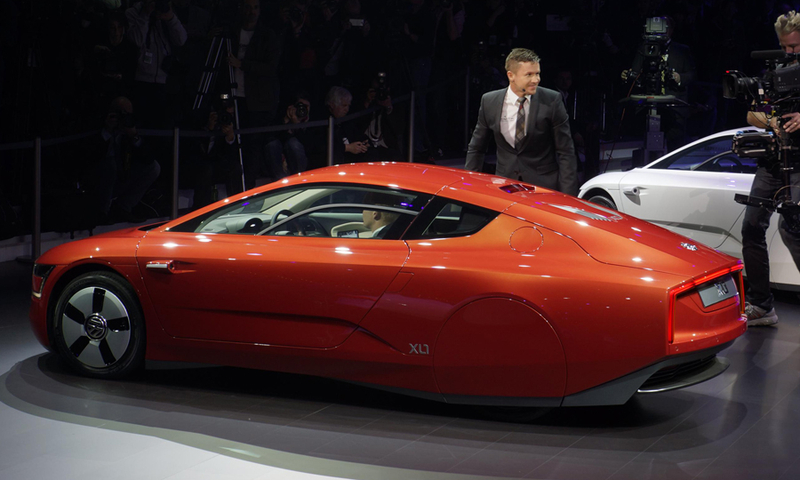 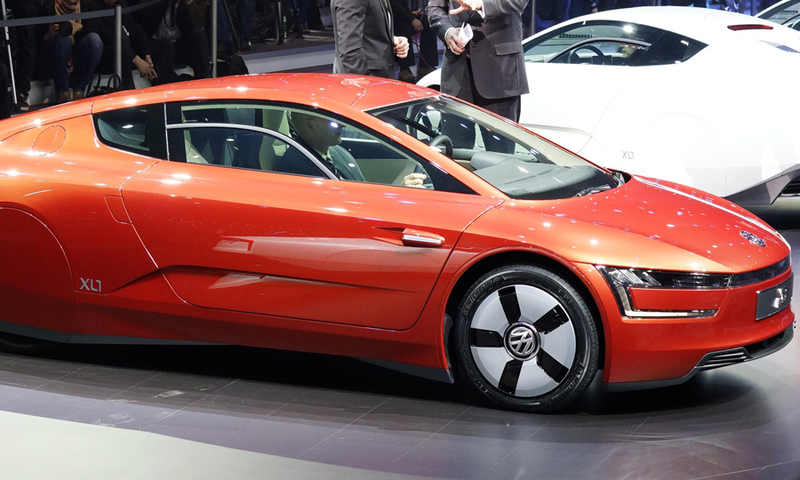 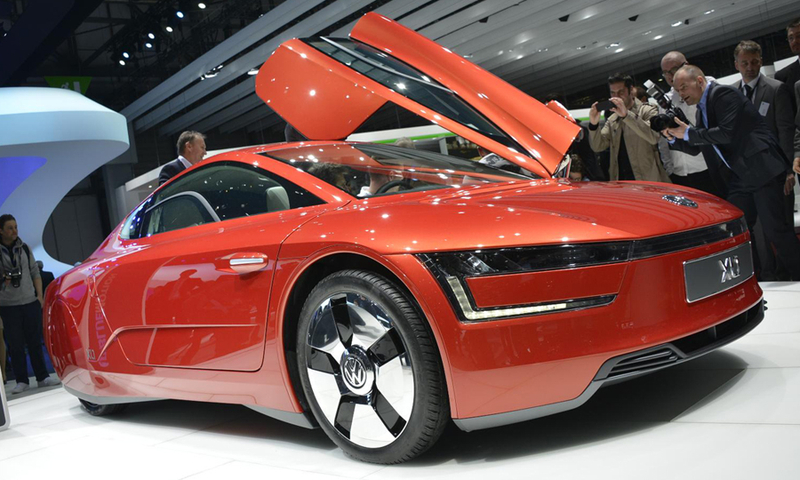 The XL1 plug-in hybrid two-seater closely resembles the concept unveiled in 2011. 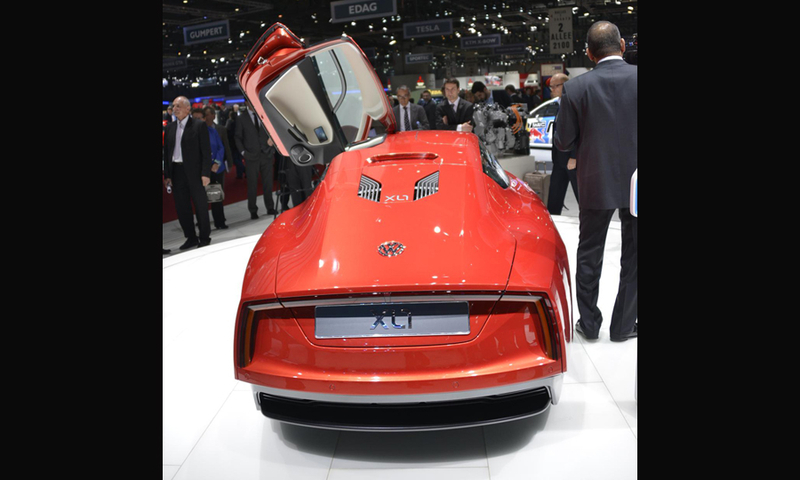 The aerodynamic body features fully covered rear wheels and rearview mirrors integrated into the door skin. 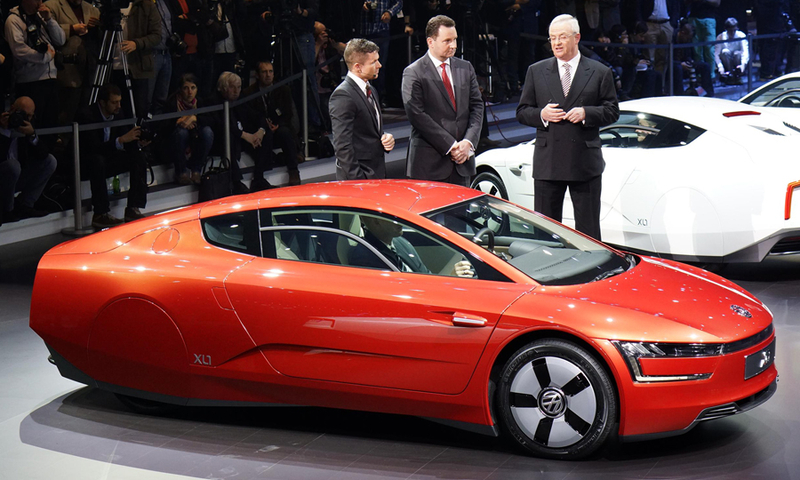 About 1,000 will be built annually in Osnabruck, Germany.